In an age where everyone has a mobile phone on them at all times, there are still times when a good two-way radio is the right tool for the job. 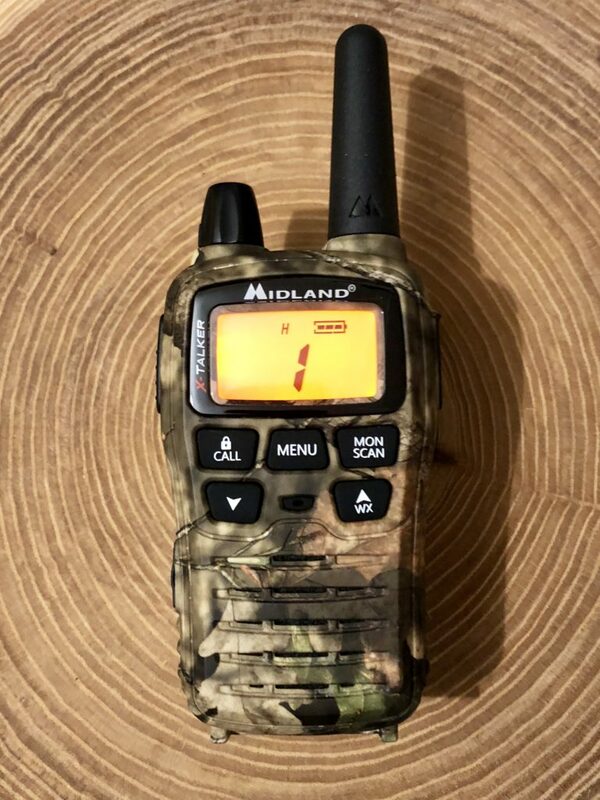 Case in point, the X-Talker T75VP3 Two-Way Radio by Midland. It is an excellent choice for hunters. Hunting in remote areas with no cell coverage. Two-way radios can be an excellent safety and communication device. Vehicle to Vehicle communication. I often find myself caravaning with another vehicle on hunting trips. The simple push to talk feature is a lot easier than having to dial my phone each time I want to speak to the other vehicle. I use mine a lot while pheasant hunting to keep in touch with our other party. Snowmobile and ATV use. With built-in voice activation and an optional headset under your helmet two-way radios are the best communication tool for riders. 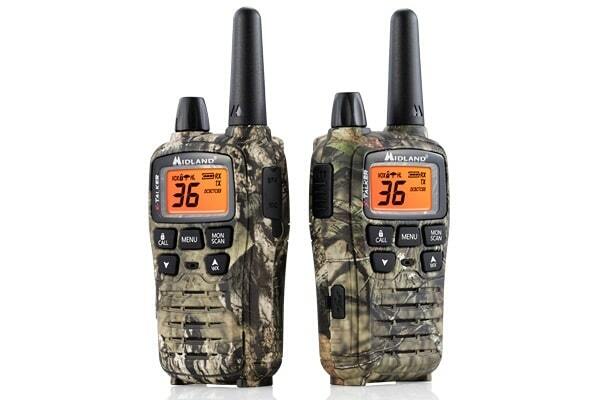 PRO TIP: Be sure to check your local laws before using a two-way radio in a hunting scenario. 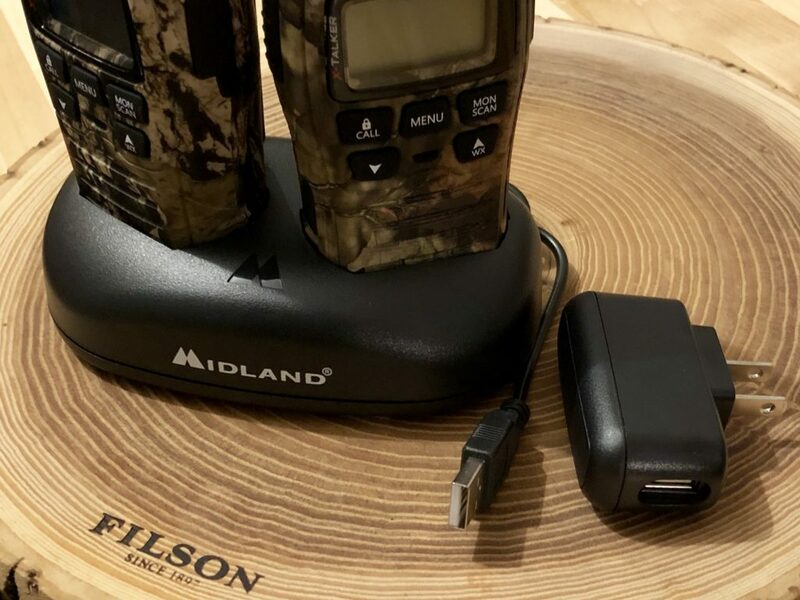 Long Battery Life – The T75 enjoys really long battery life and the ability to swap out the NiMH rechargeable battery with AA’s if you’re not near a power source to recharge. Durability – Two-way radios are designed to be lightweight and long-lasting. 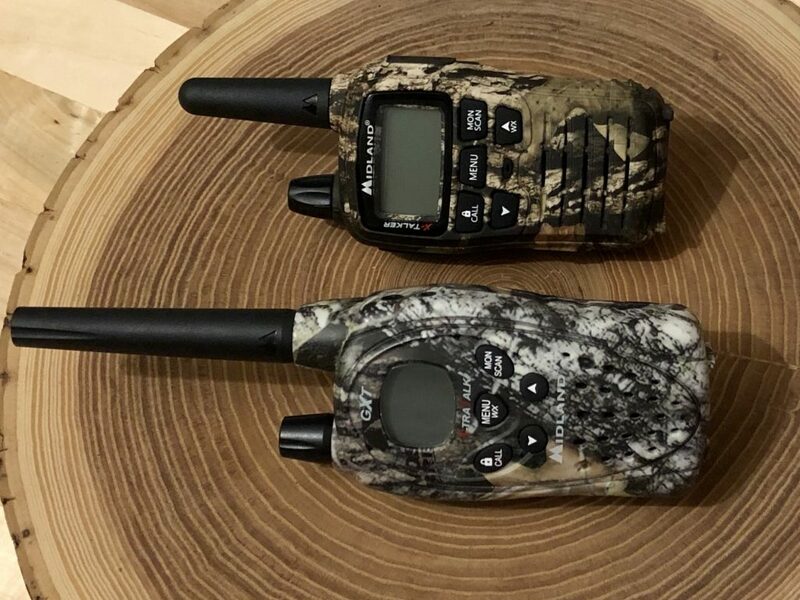 While your phone likely needs a protective case for safe outdoor use, two-way radios are ruggedly built and less likely to crack or break when dropped. Works During Emergencies – In a SHTF scenario, your mobile phone will not work. Your two-way radio will be the only way your group can communicate when apart. Be sure to have one radio for each member. The X-Talker T75 boasts a range of 38 miles. Most hunters will not see anything close to that range. Two-Radios all measure their range in the maximum optimal range. If you’re on the water with no obstruction you’ll potentially see the maximum range of 38 miles, if you’re using a high power channel. Most hunters will have significant obstructions between their radios. In our testing with significant obstructions and very heavy tree coverage, we observed a range of about a mile. In comparing the new T75 to my older Midland radio, the first thing I noticed was the improved sound quality. It was crisp and clear with no noticeable static. The overall design is refined and modern, but the functionality was almost identical to my older unit. The unit’s familiar controls made it really easy to start using the new device. If the T75 is your first two-way radio, spend a few minutes with the owners manual so you can take full advantage of all the functionality. The T75 (above) features a shorter antenna, larger LCD display, and more refined design than my older unit (below). One new feature that I really liked on the T75 is the charging options. The changing base offers the option of being plugged into the wall or you can charge via USB connection. As most newer vehicles offer a USB port, mobile changing is now super convenient. Note: Hunt Tested may receive a small commission if you purchase a product from the links on this page. This does NOT increase your price and helps to pay for the content you’re enjoying. Hunt Tested did receive product consideration in coordination with this article. All opinions belong to Hunt Tested.